With this club-donation we are able to donate the first well! 42% of people in Haiti do not have access to clean drinking water. To fetch the water is the task of the women and girls. 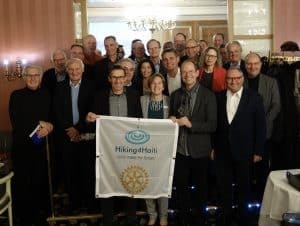 Der Rotary Club Stuttgart Wildpark wants to change this situation. The club supports the idea of member Alex and her husband to use the sabbatical to raise awareness to the project and to collect donations. Goal is 45.000 US$. With this money we can help three communities to get access to clean water. Our partner in Haiti is Haiti Outreach, a non profit organization which helped several rotarian projects successfully. Great, that we have such a Dynamik and together can make a difference! The donation helped to bring us to our minimum goal: the first well is financed! 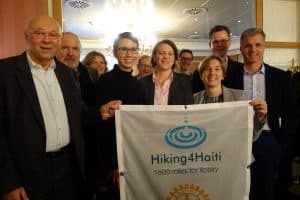 Dear rotarian friends: 1000 Thanks for your support!